Zenelec Power Systems Pvt Ltd., an ISO 9001:2008 certified manufacturing company offers Single and three phase online UPS systems for IT industry. IT is the back bone of todays business. IT companies offer support to all type of industry for their operation, maintenance and business. To safeguard datas and devices, these industry requries UPS system with high reliability. 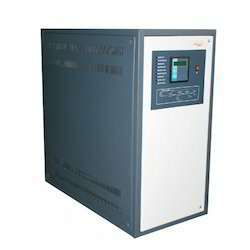 Zenelec Offers UPS system with high reliability. Customer have the choice of using UPS systems for Servers independent or UPS system for the IT load. We have huge installation base for this segment. The speciality of our ONLINE UPS system is, it support the large load variation with out any variation in the output voltage or frequency. Our UPS systems are designed with Output isolation transformer which ensures good isolation between the input EB supply and the uniterrupted load power supply. ZENELEC Power Systems Pvt. Ltd., an ISO 9001:2008 Company certified for Design, Manufacturing, supply and service activities, has an overall experience of 20 years in the field of power electronics manufacturing, supply and service operations. ZENELEC Power Systems Pvt. Ltd. is backed by a well experienced team of Technical and Marketing personnel to provide Total Power Solutions. ZENELEC has the facility to Manufacture/sales of Uninterrupted Power Supplies in the range of 0.5KVA off-line till 120KVA On-line Using IGBT in High Frequency PWM Technology with LCD Display & static bypass, Servo Voltage Stabilizer from 1KVA till 75KVA- Air-cooled type, 3KVA to 600KVA in Oil-Cooled type, Frequency Converters, Inverters. "ZENELEC" offers UPS systems in the range of 40KVA till 80KVA which can be paralled to increase capacity and reliability. 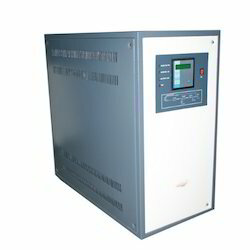 These UPS systems are suitable for IT environment as 100% power availability is assured. The size is so small that a special area requirement is not required. Battery backup can be extended any time of installation. LCD display give almost all the parameters requried. Zenelec Power Systems Pvt Ltd, an ISO 9001 certified organization involved in manufacturing online UPS systems from 1KVA till 200KVA capacity. The product ranges are Single phase input/output, Three phase input and single phase output & Three phase input and Three phase output. These units are widely used in IT industry/BPO, educational institutions, small and medium companies, manufacturing industry, color labs, hospital equipment, CNC machines. Zenelec an ISO 9001 Certified company is in a unique position as we can supply 1KVA till 5400KVA Online UPS systems for IT applications. 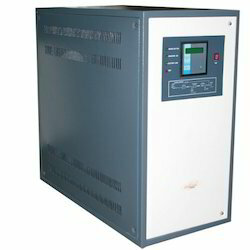 We offer UPS systems with parallel redundancy. 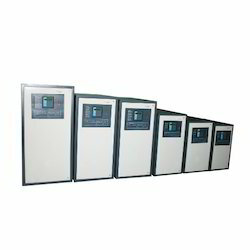 upto 8units can be connected in parallel to enhance the UPS capacity or Improved redundancy. The uniqueness of the product is its communication facility with a computer or a network. Zenelec Power Systems Pvt Ltd an ISO 9001 Certified company offers ONLINE UPS systems for Servers. Any type of servers can be connected like standalone server, rack server or Blade servers. The UPS system is fitted with static bypass and communication facilities. The UPS system can be connected in parallel for increased redundancy. 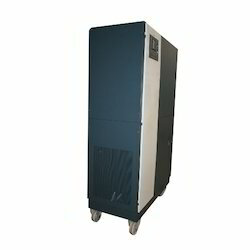 Server UPS system ranges from 2KVA till 80KVA. Looking for IT segment ?